Alcoholism is a common disorder experienced by millions, which has led to the ever-increasing popularity of AA meetings and similar group settings where people who suffer from this substance abuse disorder can go for assistance. Dual diagnosis is sometimes needed, however, to provide patients with treatment that targets more than just their alcoholism. Dual diagnosis treatment centers tend to offer programs that focus on alcoholism that is accompanied by certain mental health conditions. What disorders are most commonly met with alcoholism? What are the peculiarities of dual diagnosis treatment? What are the signs one needs dual diagnosis treatment? Dual diagnosis rehab or treatment refers to treating both alcoholism and a co-occurring condition through the same program. Many patients who present signs of alcohol addiction tend to showcase symptoms that are associated with certain types of mental health disorders as well. In these cases, only targeting the patient’s substance abuse disorder through a treatment program will not yield a maximum level of positive results. With a dual diagnosis program, a patient will usually undergo a number of treatment options in one program. This is due to the fact that the top dual diagnosis treatment centers understand the fact that alcoholism and co-occurring disorders often require individualized attention and two separate approached in order to assure the patient’s success through recovery. Millions of people in the United States, including teenagers, young adults, and older individuals, suffer from alcohol abuse disorders. It is also rather common for people to struggle with alcoholism and a mental health disorder at the same time. Each year, millions of people in the United States suffer from alcohol dependency, along with a co-occurring mental health illness. 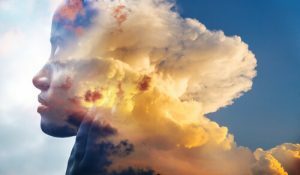 According to the comprehensive 1990-2017 study, 24.3% of those having schizophrenia are addicted to alcohol, and alcoholics tend to have an earlier age of schizophrenia onset. Anyone can become at risk of such issues, including those with full-time jobs. This brings up the need to get in touch with dual diagnosis facilities for effective treatment. However, in the US less than 20% of addiction programs offer integrated services for such co-occurring disorders. A center for alcohol and drug treatment sometimes would offer such dual diagnosis services, but often times, a specialty center need to be contacted. 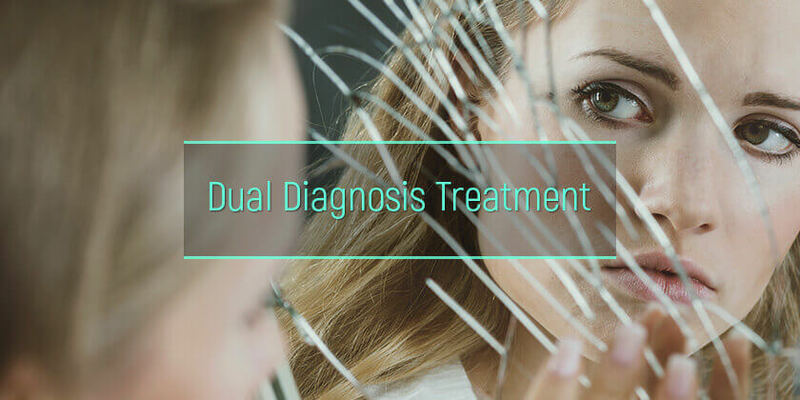 There is a two-way connection that people face when it comes to treatment for dual diagnosis. Alcoholism itself is known to lead to a higher risk of developing numerous mental health conditions. On the other hand, when patients experience symptoms related to a condition that would qualify them for treatment at a dual diagnosis treatment facility, then this also raises their risk of developing a substance abuse disorder, leading to depression and other conditions. Anti-social personality disorder, which can cause signs related to schizophrenia, dementia, and mania. Anxiety disorders, leading to additional complications that may include insomnia, paranoia, and, in some cases, even hallucinations and violence. Depression is also a very common co-occurring disorder that is seen in thousands of patients who are treated at dual diagnosis treatment centers throughout the United States. Patients who are admitted to a program at an inpatient dual diagnosis treatment center will usually be provided with services that are somewhat different from those treated at a rehab that focuses on alcohol abuse therapy alone. This is because the co-occurring disorders the patient is suffering from the need to be dealt with simultaneously, while the patient is being detoxed and treated for their alcoholism. Alcoholism is often treated at both short-term and long-term dual diagnosis treatment centers through regular AA meetings and similar group therapy sessions. This may sometimes be referred to as dual diagnosis anonymous meetings. There are also alternatives to AA offered to at some locations. Simultaneously, the patient will usually be enrolled in additional programs at these dual diagnosis treatment facilities in order to address the mental disorders that they experience – this will often include sessions with a licensed therapist who are experiencing in dealing with patients that has depression, anxiety, and other related conditions. Patients may also ask what is aftercare treatment, as these are often provided to patients with a dual diagnosis program. With aftercare treatment, the patient will sometimes continue to undergo therapy for a few months after they have completed their main program. Symptoms of alcoholism are often well understood due to the smell of alcohol on a person’s breath, along with added signs such as violence and continuous alcohol consumption. There are, however, cases where the patient may rather need to be admitted to dual diagnosis treatment centers that accept Medicaid or another insurance policy, for example, if they present additional symptoms apart from those associated with alcohol dependency. In patients who may need to undergo treatment at one of the best dual diagnosis treatment centers instead of a standard rehabilitation center, the alcohol is often used to “escape” the particular psychological issues that they are facing. Patients that have a history of conditions affecting their mental health are also usually at a higher risk. An additional series of symptoms that patients need to be wary of is anger, violence, and suicidal thoughts when they try to stop using alcohol on their own. In some cases, the patient may also experience an overwhelming fear, and they might also be hostile in many situations. Various options are provided to patients at inpatient dual diagnosis treatment centers when they present both alcoholism and signs of an additional co-occurring disorder. The specific alcohol use disorder treatment options and mental health programs provided to the patient depends on their unique situation. Intervention for alcoholism can sometimes be arranged if a patient is unwilling to cooperate with concerned family members. Patients may also seek out specialized dual diagnosis treatment centers that accept Medicare and Medicaid plans if they have a federally-funded program, as many rehabilitation centers only accept patients with private insurance policies.